Cause and Effect What Caused it? 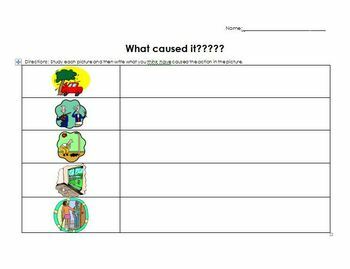 The students can practice cause and effect with this little activity. It is a nice companion to my Cause and Effect Smartboard and Powerpoint lessons.